Locksmith Bondi -Are you locked out side of your car and have no way of getting in? No worries, we are here to help with any lock-related problem such as house lockouts, business Lockouts, automotive locks and more. with Locksmith Bondi your getting a fast and responsvie team working to fix your problem. just call us and we will be there in a tik. We know how stressful these situations can be so we try to provide our costumers with the best service we can give them. Moreover, we pride in being a 24 hour mobile emergency service being able to be there at any time just a phone call away. In order to find and help you in the best way possible we built oiled qualified team working to help you with any of your problem. 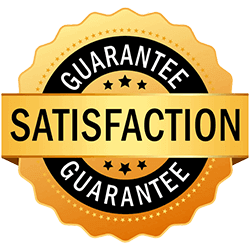 Our team is built from qualified and insured Locksmiths with experience. We pick our staff wisely making sure they are professional kind , hard working, making sure you will be 100% satisfied from our work and leaving you with a less stressful and easier day! Furthermore, Our team works around the clock to make sure to be available at any time with a customer service that will make you feel safe again, answering you and treating you kindly. Are you Locked outside your house and your baby is inside? Have you found your dog Locked inside the car? this are all serious situations, never the less, no drama, Locksmith Sydney is here to help! We would like to give our clients the best and most affordable prices and the best costumer service. For any further questions or for booking a job please contact us, and we will do you service!